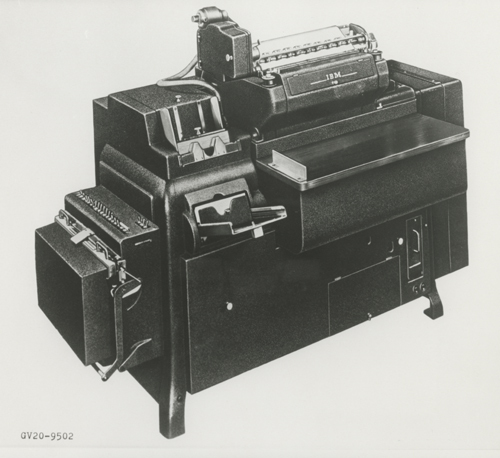 Introduced in 1934, the 405 Alphabetical Accounting Machine was the basic bookkeeping and accounting machine marketed by IBM for many years. Important features were expanded adding capacity, greater flexibility of counter grouping, direct printing of the entire alphabet, direct subtraction and printing of either debit or credit balance from any counter. Commonly called the 405 "tabulator," this machine remained the flagship of IBM's product line until after World War II.